I am trying to split a cable box HDMI output to a tv in my bedroom and a tv on back porch. I would like to watch one without the other having to be on as well or having to unplug one or the other. Will this allow for that? BEST ANSWER: Yes. You can use either output independently--one can be on with the other off. It's a passive splitter in that the box doesn't know whether you have an active output connected or not. It would be the same if you had one output unplugged. I use this with monitors in my classroom and I often only turn on monitor on for smaller classes. Yes. As long as you keep the Blackbird powered up and provide it an HDMI signal, it will send that signal to both locations regardless of which destination is turned on. I am using this on a daily basis to split an HDMI signal from a computer to a tv and a projector for the exact same reasons you are asking about. Works without issue. Yes It will. Both sets do not need to be on for this to work. I use these in my store and home, they work great. i want to play video from my laptop (source) into 2 HD tvs at the same time. is the the right device? BEST ANSWER: Yes, this splitter can do it, however one of the video outputs will have some "buffer delay". So if you want the same video at the same time you might have a problem. If you don't mind some delay it works just fine. I use this to split a signal from a cable box to two TVs. It works great. I don’t see why it wouldn’t work for you. Works great. In theory your set up should work although it’s a 2 channel switch, it may only play on one tv at a time. I’d research more if I were you. I use this splitter in many situation without fail, including playing video to two devices. In my case, I can control the resolution of the two devices to be the same. In that case, it will absolutely work.. Does this item include the power adaptor? Also, what's the maximum length hdmi cable this supports? BEST ANSWER: Hello, thank you for your question. Yes this unit includes a power supply in the package. The maximum length will vary depending your on your specific setup (Sources, displays, projectors, cable gauge). 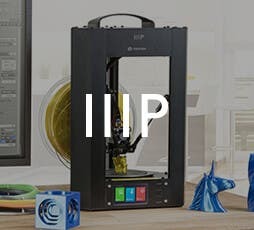 If you need further assistance in regards to what will work for your specific application please feel free to contact us at tech@monoprice.com and one of our knowledgeable tech support representatives would be more than happy to assist. Yes this includes the power adapter. Not sure on the longest cable length but we have a 50' HDMI cable hooked up to display Powerpoint slides on a large monitor and it does fine. would this allow me to use each monitor independently such as having outlook on one screen and the internet on the other? BEST ANSWER: This will not allow two different images on each screen. It will simy take one signal and split it to be viewed on two monitors. Most desktop and laptop computers seem to have two video outlets and you get the choice to "duplicate" or "extend" the video signal. 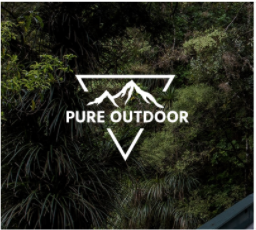 "Extend" allows two different images to be viewed on two different monitors. No. Signal that goes in is duplicated onto both screens. I have 1 TV connected to a comcast cable box. Can I use this to split my 2nd TV to my other room? Please advise. BEST ANSWER: Yes you can. I am running 2 TV's off a Comcast HD box with that splitter. However, they say there is a limit to the length of the cables used. I don't have the spec's and also if the cables is longer than 25ft they recommend a heavy gauge cable which I also bought from Monoprice. I use it to split the signal from a DirecTV receiver/dvr so that I can send HDMI output to a tv in the bedroom. Works fine. Yes but it will show the same channel on both TVs. It is labeled as an "amplifier splitter" -- so does it actually "amplify" the signal. For example if I am using it in the middle of a very long run (e.g. 75'), will it boost the signal such that it is better than if I just ran a straight 75' cable? Absolutely it does. This is a less you have a cable with a chip on him for mono price but it works greatEnter an answer to this question. Yes, it will be better. Does it have autoselect on the outputs? BEST ANSWER: Hello, thank you for your question, this item does not do auto switch or auto select so please keep that in mind when buying the item. I hope this helps, thank you! I have an AT&T UVerse box and a Samsung monitor. Work with both? BEST ANSWER: What are you trying to do? This is a splitter so one in and two out? So if you put in an input to the in side it will split the output to the two outs. I have this on a dual projector setup with a singl input to show the same thing on each and it works great. Can't see why not as long as they both accept hdmi. What is the difference or benefits between an amplifier splitter and a regular splitter? BEST ANSWER: The regular splutter will work if you are splitting the signal and it does not need to travel far. The amplified splutter lets you send the signal much farther. In my case I have a dvr for my surveillance cameras. The dvr is in my garage. The monitors are in my living room and in my upstairs bedroom about both about 70 feet away. I could run 1 or the other without the amplified splutter. The amplified splutter just has a power cord that plugs into 120v to boost the signal strength. I hope this helps. An amplified splitter boosts the signal for when you need to send it over a longer distance. BEST ANSWER: Hello, our HDMI Splitters are compatible with a wide range of devices so this should properly work with that combination. I hope this helps, thank you! What is the maximum cable length for the input and the outputs? BEST ANSWER: Hello, signal length is dependent on the signal strength of the devices not the splitter. Regardless this should amplify the signal and can reach up to 100ft providing the devices can output at that length. I hope this helps, thank you. Will this work with a 3D capable TV if one of the outputs (A/V receiver) is not 3D compatible? BEST ANSWER: Hello, using an HDMI splitter like this to send a signal to an AVR and a display is not advisable. Due to the method at which splitters work, they force the highest quality common signal and send it to both devices. This unit features an ability to force the EDID information from output 1 or 2 but the end signal is completely dependent on the devices connected. An example is if output 1 is a display that supports 3D and 2.1 audio is forced onto the output 2 which is connected to an AVR, the AVR system will only output 2.1 audio. Certain televisions are capable of outputting 7.1 audio though they only have two speakers, and this wouldn't be an issue. I would recommend on consulting your owners manual or the displays manufacture to have a clear answer, i hope this helps a little. Will this work with PID#14745 need to split signal from stb to wall mounted tv and projector to be set up outside. Need to know if these 2 items will work together and if PID#14745 will work on a projector? It will be in line of site from stb. BEST ANSWER: They are both HDMI, so yes will work together. But the question isn't clear enough to answer specifically. I'm looking to put the HDMI splitter on a frontier cable box. 1 HDMI will be wired to a tv. The second one I want to use the wireless HDMI unit from the splitter to a projector that will be located outside on the patio. I want to make sure using the HDMI splitter with the wireless unit will work and secondly that the wireless unit will work on a projector. I believe that should work just fine. Make sure the projector is within the specified range for the wireless HDMI and in line of sight. The wireless works excellently but the range and line of sight are very strict.. I recommend keeping the cables between the frontier box and the splitter and the splitter and the wireless transmitter as short as possible. Will this active cable https://www.monoprice.com/product?c_id=102&cp_id=10255&cs_id=1025507&p_id=12611&seq=1&format=2 work with this Amplifier Splitter as long as the other cables are non active cable? BEST ANSWER: When using Active HDMI cables along with HDMI switches and splitters, you would want to use them as HDMI outputs to be connected directly to the HDMI input on the displays. You can use 2 Active HDMI cables on both outputs, just be sure that the HDMI cable you are using for the input of the splitter is a passive (non active) cable. I hope this helps. I am looking to splitt the hdmi signal from my Directv H25 receiver to a second tv. 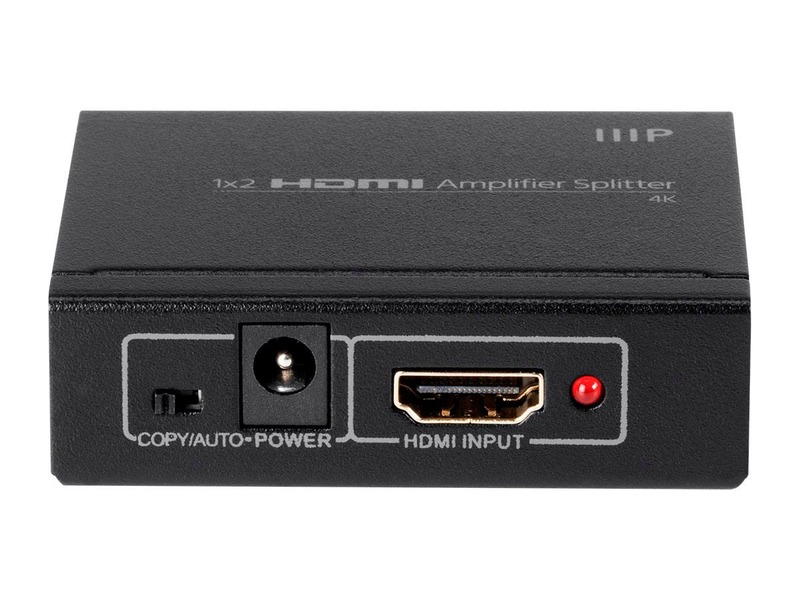 Does this splitter work without having a HDCP compliant error? BEST ANSWER: Hello, thank you for your question. Unfortunately due to the large variance of television receivers and the general nature of Satellite/cable decoders, adding splitters or extenders between the source to the displays can commonly cause issues and require some trial and error. We would recommend trying to make the run as direct as possible and making sure the HDCP version used by the receiver is supported by all your equipment. I hope this helps, and of course if you have any more questions feel free to contact us! What is the Copy/Auto switch? I read the manual and it still is not clear. 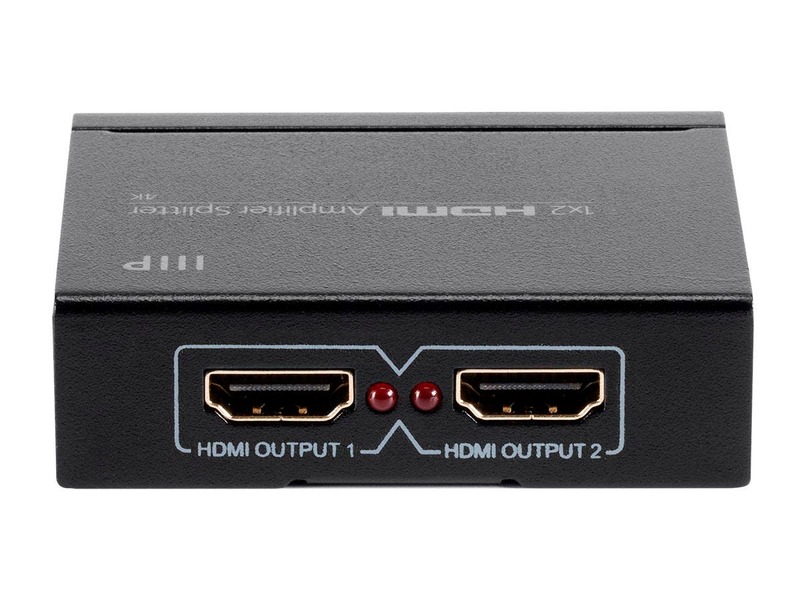 BEST ANSWER: The copy option would force the EDID for HDMI out 1 to be the same for HDMI out 2. Auto would have the splitter pass through the signal instead. 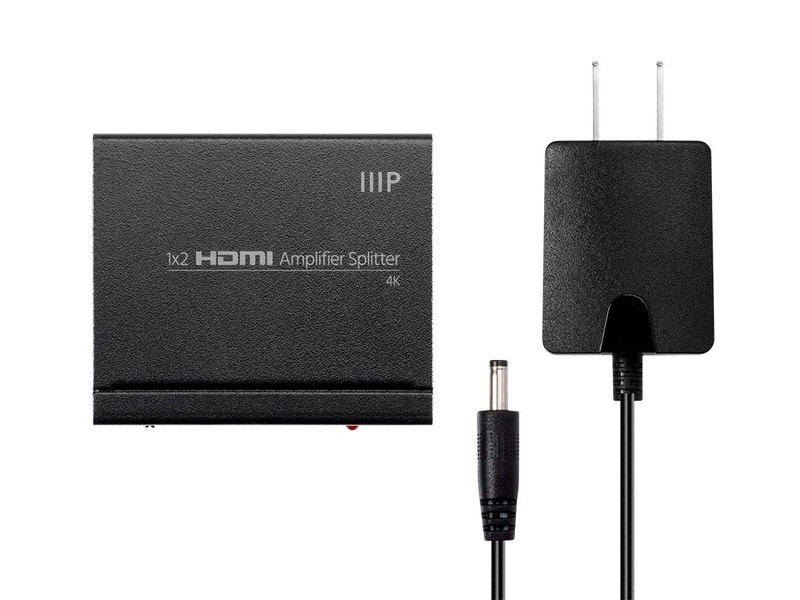 Would this splitter work if I wanted to put a 4k signal to my TV but also put an HDMI signal to my non-4k reciever to pass bitstream audio? Does this splitter passthrough cec to power on/off multiple tvs? I bought this item. The User Manual says they can be used SIMULTANEOUSLY. Yet I find a switch, and that they do not work SIMULTANEOUSLY (See 1. Introduction). What can I do? Will this boost the hdmi signal to the tv. Got a 50’ hdmi cable and the tv won’t pic up cable signal? what does the copy/auto toggle switch do? All was great until I upgraded my TV to 4K. My XBOX wont send 4K HDR through this, but it's not advertised as such (but it does have the 4K stamp on it that's why the 3 star). Just wanted to let other buyers know that if you want it to work now it does a great job. But this isn't going to future proof your setup. Worked right out of the box, replaced some older Kramer spliitters. Died in less than two weeks. Unit has no power to it, so no video or audio is available. 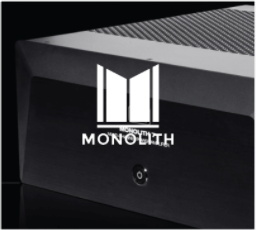 Waiting to hear back from Monoprice on my RMA request. Set it and forget it, everything should work this way! Worked great for our odd use-case. Our use case was odd - we use a crestron system in some of our classrooms and hdmi output from some ultra low power ultrabook laptops was not strong enough for the crestron to detect an input signal, so we ran it through this amplifier as a sort of booster/conditioner. It worked great, since we installed it *all* the computers we connect show up much more quickly and even phones, etc. are able to output a strong enough signal to present on the crestron system. I hope it lasts longer than the one it replaced ! I'm using this in a game room where a single, 1080p source is driving 2x identical displays at opposite ends of the room. I'm using 25 ft MP UltraSlim 4K cables between the slitter/amp and the displays. If I use a 15 ft UltraSlim cable from the source to the amp I get audio but blank screens. If I reduce that cable length to 10 ft it works fine. I'm assuming there's some HDCP timing issue between the source and displays going through the amp. I've tried with a couple of different 15 ft cables with the same results. Reducing the cable length between the amp and displays wasn't an option since they'd been installed during construction. Overall the unit works well but I'd recommend hooking up all of your gear and testing your setup before running cables through your walls. It works. 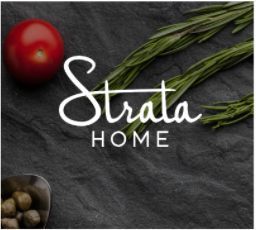 I get the audio and video from my satellite dish both on my main TV and the TV in the kitchen; however, the audio and video cut out for about 10 seconds when I turn on the TV in the kitchen, then everything works without problems. It works as it should and comes with a long power cord which is helpful in large setups. It took a while to arrive, but I was thrilled as it Works like a charm!